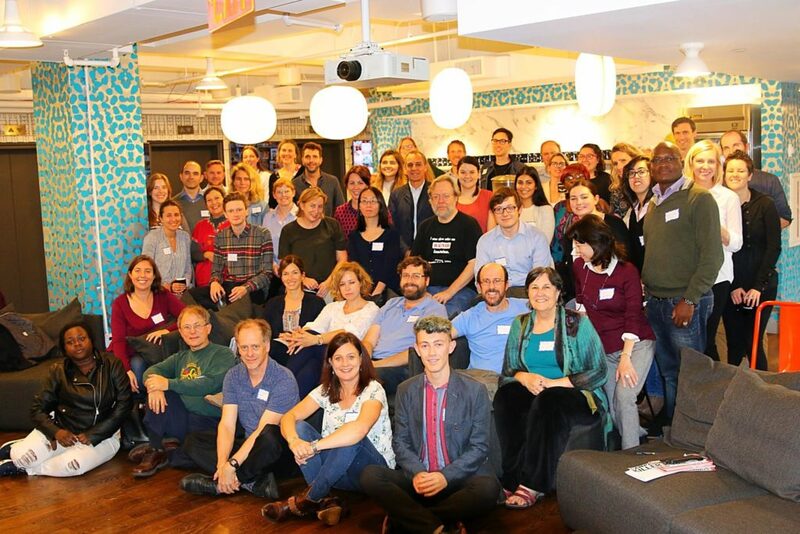 Approximately 90 people participated in the 2017 Humanitarian Disarmament Forum in New York City on 14-15 October 2017. This was the sixth year in a row that representatives from non-governmental organizations had convened to learn and strategize collectively on their common work to advance humanitarian disarmament and thereby prevent and alleviate human suffering. Three groups—Human Rights Watch, PAX and the Harvard Law School International Human Rights Clinic—convened the forum at UN Church Center and co-funded it together with contributions from Article 36, Handicap International, and Norwegian People’s Aid. A list of participants is annexed to this report. The Forum opened on a high note as it took place exactly one week after the announcement that the International Campaign to Abolish Nuclear Weapons had won the 2017 Nobel Peace Prize for its role in bringing about the Treaty on the Prohibition of Nuclear Weapons. ICAN is one of the global NGO coalitions at the heart of the humanitarian disarmament movement and co-hosted the previous forum in October 2016. Fittingly, forum participants celebrated the stunning Nobel news with hibakusha and Japanese peace activists at a closing reception on the visiting Peace Boat. The 2017 forum looked at how to advance humanitarian disarmament in ever-challenging times. Invited speakers led-off discussions on topics such as how to deal with the current socio-economic climate, how we research and respond to the use of banned weapons. The coordinators of five NGO coalitions provided lightening 15-minute updates on recent advances and described some specific challenges they currently face. The organizers are grateful to all the facilitators and speakers, who are listed in the annexed agenda. Forum participants reviewed and reaffirmed the communiqué issued by the 2012 Humanitarian Disarmament Summit. They identified the following points for collective action, expanding on the practical measures contained in the 2012 summit report. Look for both opportunities in specific campaigns and shared successes that we can leverage to achieve our goals. Exchange practical lessons learned—e.g., what worked well, what did not—as our experiences can help establish collective best practices and be replicated across campaigns. Communicate more with each other. Contact HRW to be added to the informal humanitarian disarmament community’s internal email listserve. Join the Facebook Page and follow @4disarmament and its lists of tweeters. Use technology/social media to document the use of weapons and their harm as well as to enhance our advocacy. Prioritize and nurture diversity across the humanitarian disarmament movement, including in recruitment of new staff and volunteers. Frame disarmament in humanitarian terms at every opportunity. Better “brand” humanitarian disarmament and explain its meaning and rationale when engaging with diplomats, the media, or the public or when producing publications (reports, academic articles, etc.) or online materials such as blogs. Support and reinforce each other’s work, including on social media, to emphasize the authority and reach of the humanitarian disarmament community. Continue the Humanitarian Disarmament Forum by meeting again face-to-face next year.